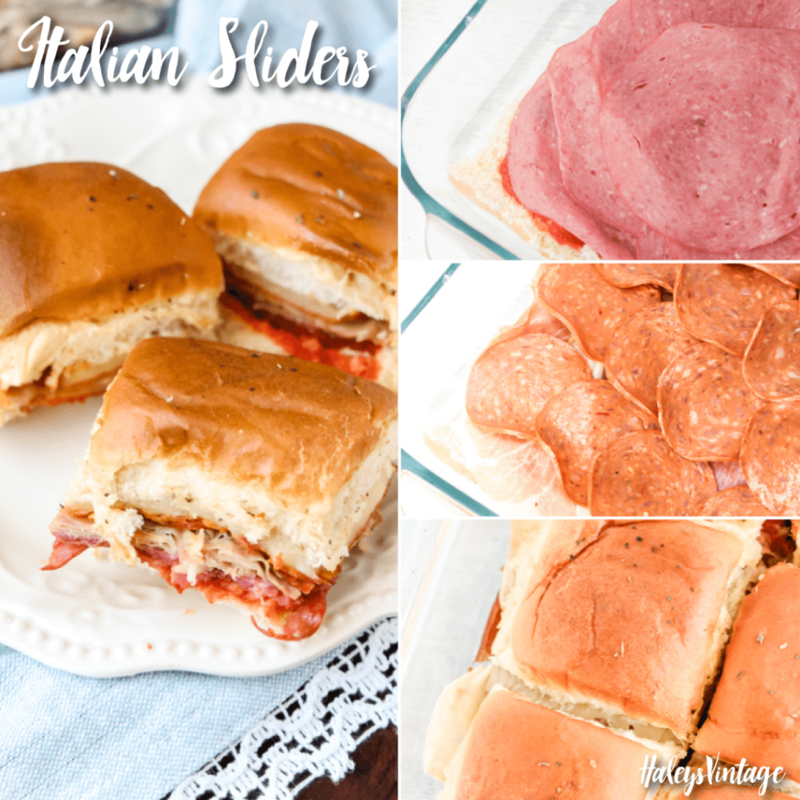 I love these delicious Italian Sliders! 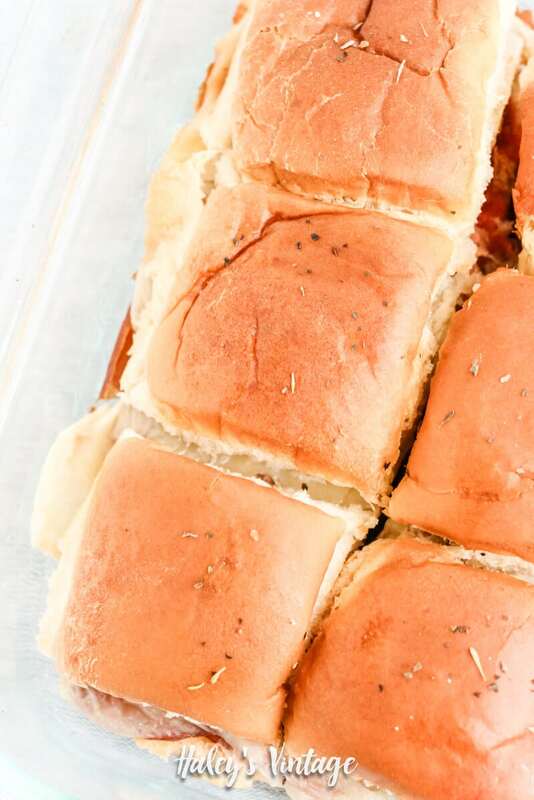 They are so easy to make and would be perfect for lunch or even to take to your next potluck. Plus, it would be easy to make a bunch of them if you had a large party. Go ahead and ‘PIN’ me, because you will want to find this recipe later. Don’t you just love a tiny sandwich? Well, we do! My youngest loves how these are just his size. 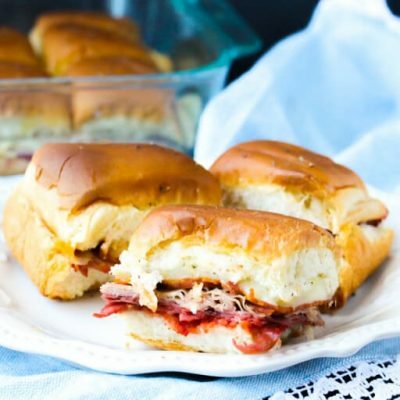 They are so delicous and super easy to throw together for a quick lunch or simple dinner. 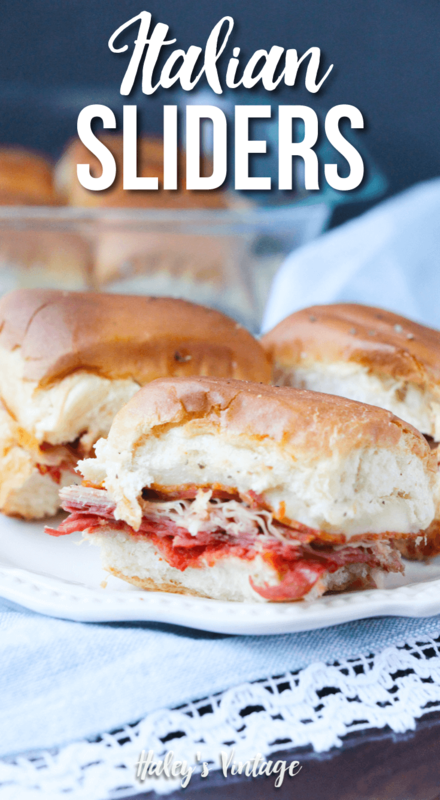 My Italian slider recipe would be a great recipe to use when teaching kids how to cook. Why is teaching kids to cook is so important? 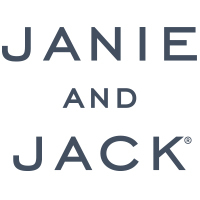 My favorite reason is it gets them interested in trying new foods. And, can cultivate a love cooking early when their minds are easy to impress. Cut the sandwich sheet in half through the middle to create two “slices” of the sandwich sheet. Place the bottom half of the sandwich sheet in the casserole dish. 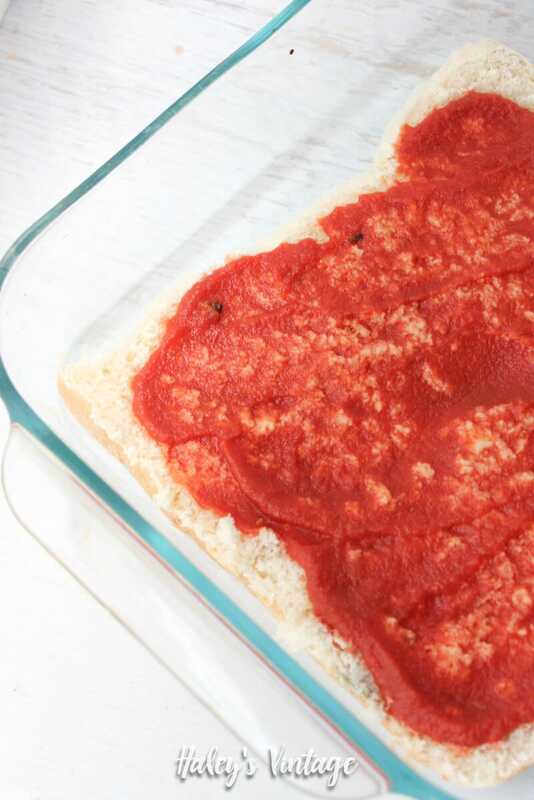 Spread the spaghetti sauce over the bread layer and sprinkle with 1 teaspoon of the Italian seasoning. 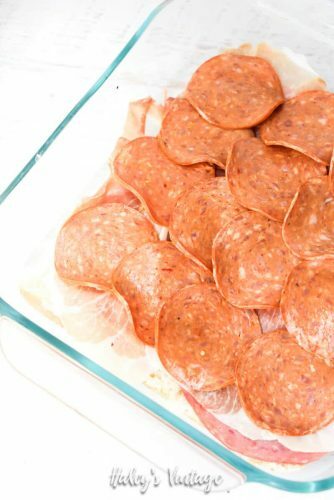 Make an even layer of the salami all over the sauce layer. 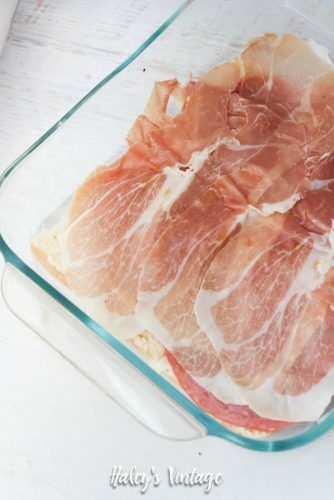 Then repeat with prosciutto and pepperoni. Top with the mozzarella slices and then place the top half of the sandwich “sheet” on top. Place the butter in a saucepan over medium heat and melt approximately 2 minutes. Stir in your remaining seasoning and salad dressing (if using). Pour the butter mixture evenly over the sandwiches and cover the casserole dish with tinfoil. Bake for 20-30 minutes until the butter has completely absorbed into the rolls. Cut the sandwich sheet in half through the middle to create two "slices" of the sandwich sheet. 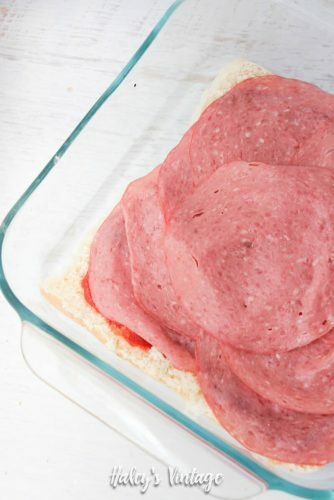 Top with the mozzarella slices and then place the top half of the sandwich "sheet" on top. « Spoil Yourself with a Delightful MILKA OREO Chocolate Candy + Giveaway!